At Gibbs & Fuerst, LLP, we serve our clients by finding practical, cost-efficient solutions to legal problems. To help us accomplish that goal, we've focused our resources on meeting a more limited range of legal needs. 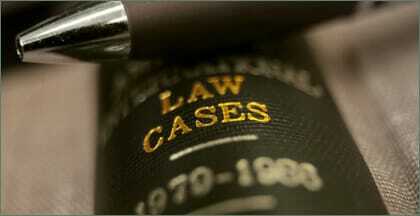 We focus on three areas: personal injury, business law and employment law. This focus allows us to provide clients with the kind of deeply knowledgeable, effective advice they need. We serve clients in Riverside, Temecula, Escondido and San Diego, providing skillful representation to a large portion of Southern California. Our attorneys have more than 75 years of combined experience helping clients protect their interests inside and outside of the courtroom. Motor vehicle accidents: We help clients who have been injured in car accidents, commercial vehicle accidents and semi truck accidents. Our attorneys also handle off-road vehicle and boating accidents, as well as motorcycle and bicycle accident claims. Construction accidents: Whether you were injured in a falling accident, by equipment failure or as a result of on-site negligence, our lawyers can help you recover compensation for your injuries. Slip-and-falls: If you have serious injuries resulting from a fall, our attorneys will fight for you. Our attorneys have successfully represented clients with brain injuries and injuries to the neck, back or spinal cord. If you lost a loved one in a fatal accident, we can help you pursue a wrongful death claim. To speak to an experienced lawyer, call our main office in Murrieta at 951-813-2614 or our San Diego office at 619-618-2979. Please feel free to contact our firm online as well. We offer free initial consultations and Spanish language services.